A Daycroft education does not stop with math, language arts, science, and cultural studies. Our co-curricular programs help students stretch themselves artistically, musically, physically, and technically. In kindergarten, music classes emphasize movement to beat, group singing, and experimentation with classroom instruments. In grades 1-2, students progress to group and solo singing, and learning basic music reading skills through games and activities. In grade 3 and beyond, students continue to develop music reading skills, singing alone and in groups, and are able to sing simple songs in parts. 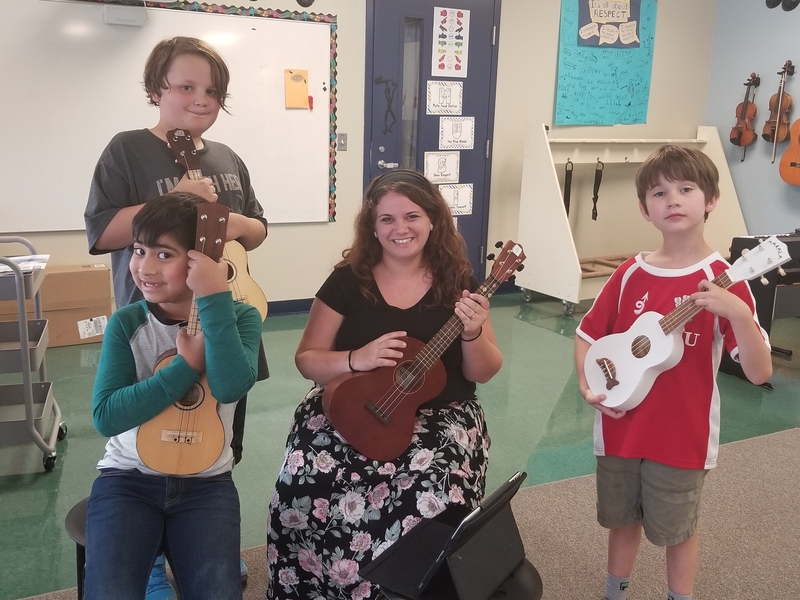 Ukulele is introduced in grade 3. In grades 4-8, students advance to string instrument instruction, ensemble work, and music theory. The Daycroft art program offers our students a studio environment to pursue their art. Lessons introduce materials, techniques and care of supplies. Students explore, discover and find joy in their creativity. Classical art forms—drawing, painting, ceramics and 3D construction—are availble to assure that each child develops fundamental art skills. 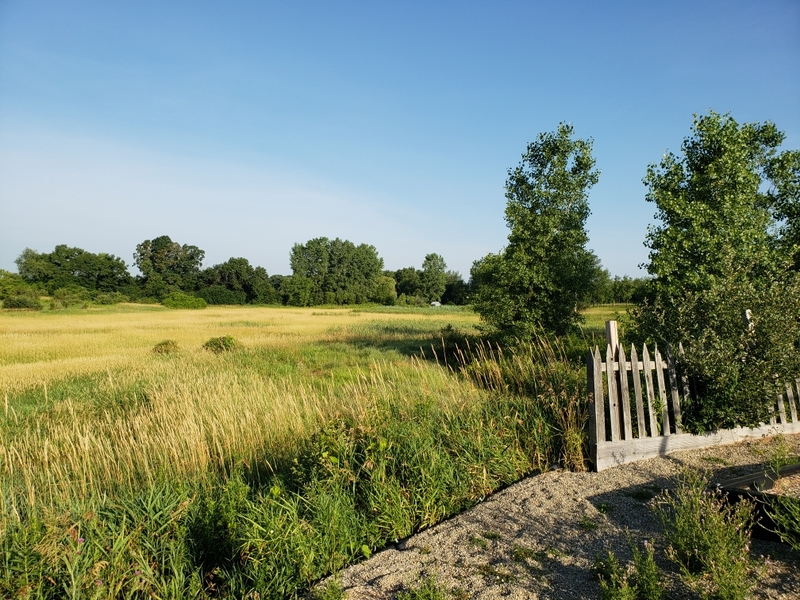 Daycroft’s garden, pond and wetlands provide many opportunities for children to explore and learn about nature. Outdoor activities reinforce classroom lessons in math, language arts, and cultural studies. Spanish is offered from preschool-8th grade at Daycroft. Younger students focus on vocabulary, with grammar being added in the upper grades. Students also learn about Hispanic cultures in various Spanish-speaking countries. This is an academic class with an emphasis on listening, speaking, reading, and writing in Spanish. Students learn linguistics in grades 7-8. The overall goal of the program is for students to begin high school at a Spanish 2 level or above. This program offers a variety of developmentally appropriate movement activities for students. Emphasis is on the development of healthy choices and sustaining lifestyle habits that promote good health and well-being. E-STEM incorporates environmental studies with science, technology, engineering and math. Classes are designed to develop collaborative learning that fosters creativity and engagement in the design process. Classes make use of outdoor activities and Daycroft's natural wetlands area. Daycroft's Writer's Workshop is a student-centered framework for teaching writing that is based on the idea that students learn to write best when they write frequently, for extended periods of time, on topics of their own choosing. To develop skills as a writer, students need three things: ownership of their own writing, guidance from an experienced writer, and support from a community of fellow learners. The writer's workshop framework meets these needs and streamlines instruction in order to meet the most important objective: giving kids time to write. The workshop setting supports children in taking their writing seriously and viewing themselves as writers.